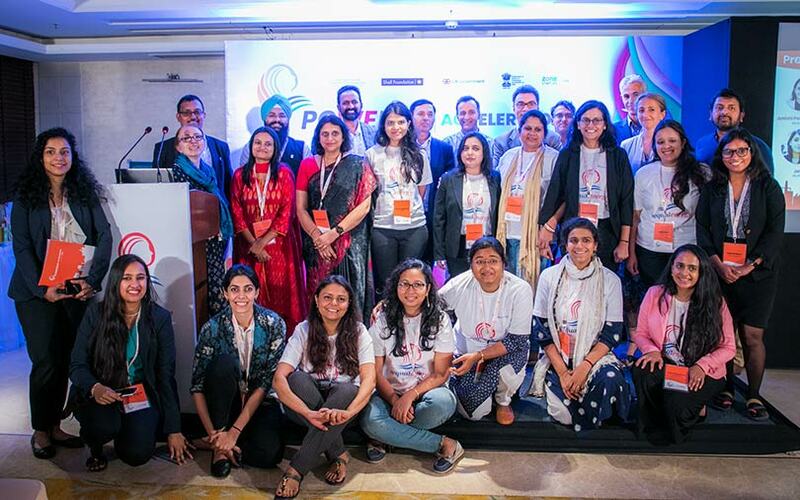 POWERED Accelerator, an entrepreneurship programme focused on women-led businesses in the energy space, has shortlisted six startups for its first batch. The startups will each receive seed funding of $10,000, a company statement said. The accelerator is a joint initiative of the Shell Foundation, a UK-based charity; the UK government’s Department for International Development (DFID); the Indian government's Department for Science and Technology (DST); and Zone Startups India, which manages the entire programme. The objective of the programme is to help selected ventures expand their innovative and consumer-responsive services and products and to also finance them. Through the programme, the startups get access to peer networks, mentorship, industry connects and investors. HDFC Bank, Microsoft Corporation and L&T Public Charitable Trust are partners for the programme, offering infrastructure and mentoring support, for which the startups can explore suitable synergies with them. The six emerging companies were chosen from a pool of 10 firms. They were evaluated by a jury based on parameters such as concept, technology, scalability potential and team. “POWERED adds a great deal to the portfolio of work being done by Zone Startups India with women entrepreneurs. Also, given the theme of energy, it adds a new dimension to our expertise of working with startups, which otherwise has been largely in the tech domain,” said Ajay Ramasubramaniam, director at Zone Startups India. Cellerite Systems: This Hyderabad-based company offers a charging solution for electric vehicles. It provides sales, marketing, trading, technical support and service on EV charging infrastructure. The company was founded by Srujana Raghupatruni in 2017, a postgraduate in power systems from IIT Delhi. She has 7 years of experience in teaching electrical engineering to graduates and undergraduates. Loans4SME: This Mumbai- and Delhi-based company, which was founded in 2016, runs an alternative lending platform that connects businesses with debt providers. It claims to be expanding the source of domestic debt capital for small and medium enterprises beyond banks to include venture debt funds, impact lenders and family investment offices. The company was founded by Simmi Sareen, who is a financial services veteran with more than 19 years of experience in credit and lending. HoneyComb Inventions: This Mumbai-based startup aims to enhance the duration of power back up supplies of healthcare facilities. It as founded by Mousumi Medhi, who has eight years of experience in project management and holds an MBA degree. Kumudini Enterprises: This Odisha-based startup, which is completely run by women, provides energy services and devices in rural communities, with a special focus on particularly vulnerable tribal groups (PVTGs). Puspalata Pani is the co-founder of the company who has a master’s degree in social work (MSW) and rural management with 19 years of experience in youth leadership development. Upcycler’s Lab: This Mumbai-based startup makes sustainable learning tools for children above the age of five. It aims to create awareness and educate children on the need for sustainability. The company was founded by Amishi Parasrampuria, who has four years of experience as a social entrepreneur in the field of sustainability. Taru Naturals: This Mumbai-based company connects farmer communities with clean technology and renewable energy. It claims to be an ecosystem builder for small-scale farmers, wherein they mobilise the village community to adopt sustainable methods of agriculture such as solar power pumps, solar dryers, etc. The company was founded by Ruchi Jain, who holds a master’s degree in environmental change and management from Oxford University. She has also worked with the Ministry of New and Renewable Energy, European Academies Sciences Council and as a campaigner with 350.org and Indian Youth Climate Network.